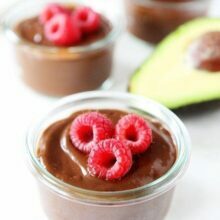 Dark Chocolate Pudding made with a secret ingredient…avocado! This pudding is so creamy and divine you will never know it is healthy! It’s Friday and we all need a treat! 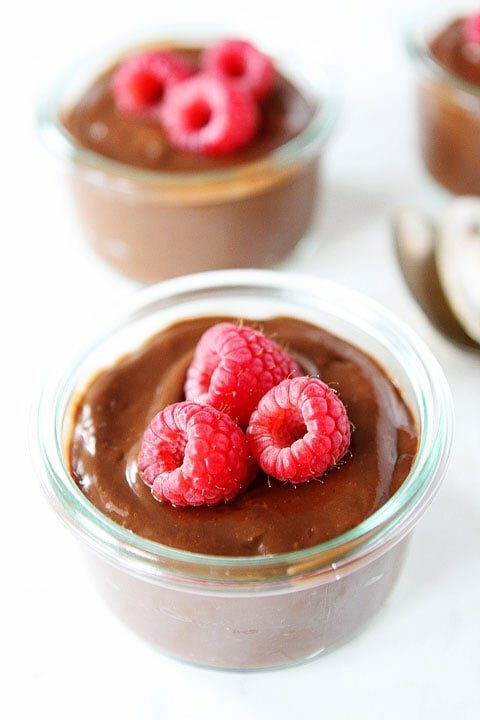 Today we are sharing a recipe for Dark Chocolate Pudding. This isn’t any old pudding recipe. It is special because it has a secret ingredient. The pudding is made with avocado! This amazing recipe comes from The Blender Girl Cookbook by Tess Masters. I met Tess last year at a blogging event in California and we instantly became best friends. I just love her! She is one of the nicest and most genuine people I know…and she is beyond talented. Tess is hilarious, inspiring, and knows her way around the kitchen. I am soooooo excited for Tess and her new cookbook! The Blender Girl Cookbook features 100 gluten-free, vegan recipes that are not only healthy, but delicious too! Tess knows how to make healthy taste good. I promise, you will never know you are eating healthy because you won’t feel deprived at all. Healthy has never tasted so good! Tess’s Dark Chocolate Pudding was a hit at our house! It was super easy to make. There is no cooking involved, you just put all of the ingredients in the blender and blend away! The avocado makes the pudding extra creamy, but you won’t even know it’s there because the pudding is so rich and chocolaty! Caleb gave the Dark Chocolate Pudding two thumbs up! He had chocolate all over his face and a big smile! We will be making this pudding again and again! And now for a fun giveaway! Enter to win a copy of The Blender Girl Cookbook! Use the PromoSimple Widget to enter! Good Luck! 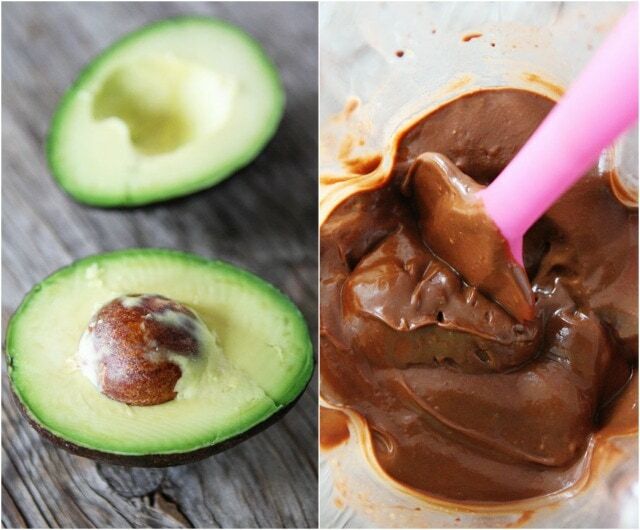 Deep dark chocolate pudding that is made with a secret ingredient...avocados! 1. Put the almond milk, avocados, cocoa, maple syrup, vanilla extract, cinnamon, and salt into your blender and puree on high for 30 to 60 seconds, until smooth and creamy. You may need to stop and scrape down the sides with a spatula. 3. 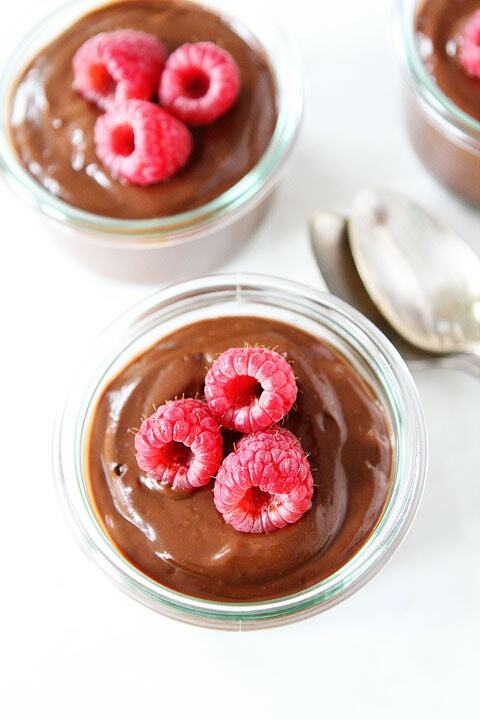 To serve, top each pudding with fresh raspberries. Note-the pudding works best with ripe avocados that don't have any brown discolorations. The pudding is best the day it's made, as the avocados will oxidize and the flavors will change over time. Disclosure- Ten Speed Press is providing the cookbook giveaway to our readers, our opinions are our own. I have made this and found it blended much better using my immersion blender. The regular blender left too many chunks of avocado & too much scraping involved!! Was absolutely delicious & I recommend eating it same day as made…. How did you little man get so old? And the avocado in this pudding? GENIUS! This looks amazing! I love the idea of adding avocado! 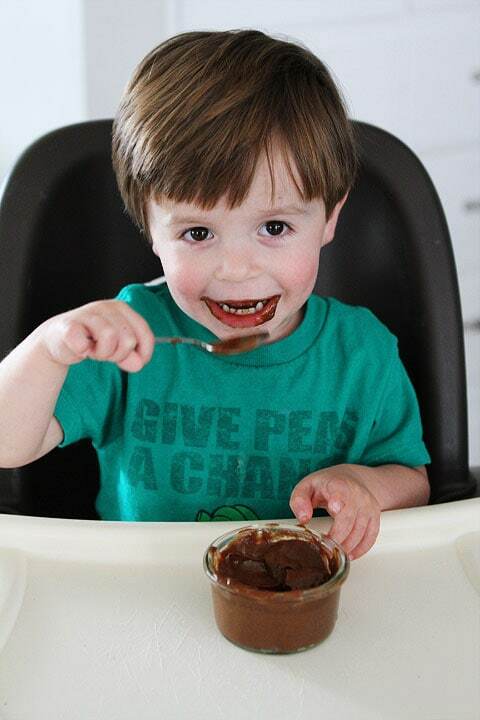 Love this pudding and that photo of Caleb is just too adorable! Oh wow, can’t wait to try this and I will be adding the almond extract. 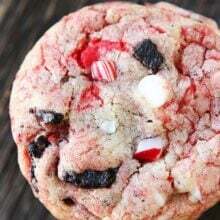 I love its flavor in baked goods. We have started a new eating plan and avocados are encouraged on the third phase each week. Can’t wait to try it. 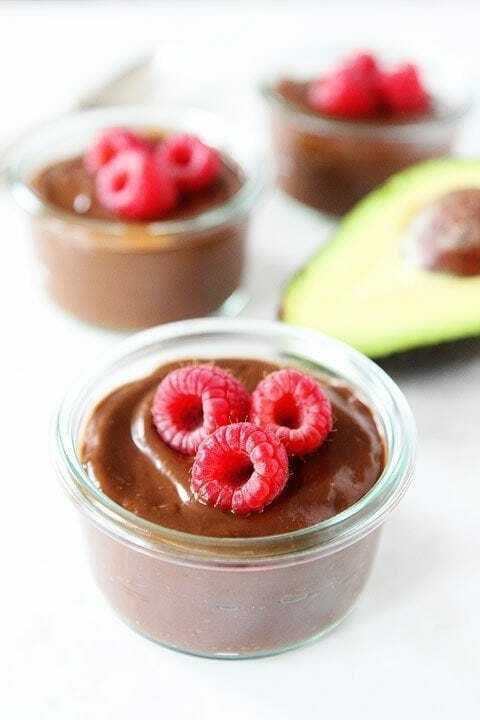 I have been wanting to try avocado chocolate pudding! It looks fabulous! That pudding looks absolutely fantastic!! Yummo! this looks amazing- I love Tess- so excited for her book! I need to change the fact that I still haven’t tried chocolate pudding made with avocado. It looks crazy creamy and good!! This looks so good! I can’t wait to make it, I know my boys will love it too! This looks sooo good! must try this! Looks really yummy. Will definitely try. Look at Caleb! So cute, so yummy! Loved your article in Cooking Light this month! I’ve been wanting to try avocados. Maybe I’ll start with this recipe. 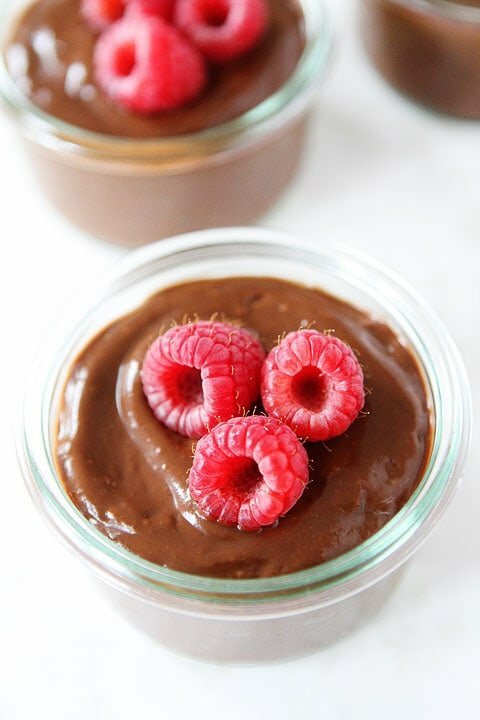 Such a fun & healthy pudding! This looks delicious! Love the addition of the avocados! Yum!!! Nothing better than dark chocolate. Hi Maria! Do you think this would turn out alright with vanilla flovored coconut milk? That’s all I have in the fridge right now… Thank you for providing us with soooo many tasty recipes! My family adores these ideas! Yes, I think it would be good! Enjoy! Chocolate pudding is a BIG hit in my family. For 2 years running my youngest son wanted that instead of a cake for his birthday. He also is an avocado nut. He takes after me on both counts. I can’t wait to give this a try. I’ve been wanting to try this for a while, it looks so yummy! I love our chocolate pudding mind meld!! So fabulous!! This pudding is out of this world. All the other people who said “sounds good” or “I’ll try it later”…don’t wait. This is outstanding. Very easy to make and fabulous taste. Rich and creamy. I just made this and it’s delicious even right after I made it! You never fail to disappoint, my two favorite peas. SO good!!! I made this recipe and I was so excited. It was so rich and creamy. I gave it to my kids and they loved it too. I was wondering however if there was a way to make it a little less sweet/rich. I would like to tone it down a little bit but I wasn’t sure which ingredient was good to start with. I hoped that since you had played with recipes, you might know how to lighten it up a bit. Please email me and let me know. Thanks so much for making a lactose intolerant person very very happy!!! I haven’t played around with this recipe. Let me know if you do! Glad you liked it! This pudding sounds delicious! Do you think there is anything I can substitute for the maple syrup though? Perhaps honey? This is the most disgusting dish i have ever been served. It looked like baby poo and the after taste lingered for several hours. Nothing seemed to be able to extinguish the slippery goo like texture from the memory. I would suggest that there is no good reason on Gods earth to abuse avocados in this way. Avoid it like ebola and eat a chunk of cheese instead. I just made this and it’s delicious! I used flax milk, added an extra tablespoon of cocoa powder, and a 1/2 teaspoon of glucomannan (knojac root powered) to make it creamier and thicker. Into each individual serving up I stirred in a heaping teaspoon (not the measuring kind but the kind you eat from) of peanut butter. I told the boys (14 and 12) that it was Peanut Butter Cup Pudding. You should have seen the look on my 14yo’s face when I told him it was made with avocado. He just told me he could eat a gallon of it. Thank you! sorry but you lost me at the maple syrup…that’s over 100 g of sugar…not a good thing…and trust me i love maple syrup and honey…anyone tried it with stevia or something instead? This pudding was really good. I used chocolate stevia instead of maple syrup and it was still delicious, thanks! 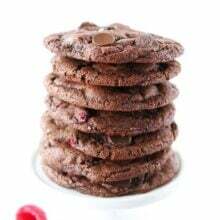 Pingback: My Favourite Healthy(ish) Desserts | sort of a "mom blog"
I’m allergic to peanuts and tree nuts, can you use something other then almond milk? Love this! My wife has smoothness issues so I cut back on cinnamon and vanilla, kept the almond, added frozen cherries at the very end and pulsed for just a quick second (I made it in my food processor) and then I folded in toasted almond pieces before serving it out. I garnished it with a few more toasted almonds and a cherry (I’d use fresh cherries once they are in season). OMG!!! This is a keeper!!! I replaced the maple syrup with 5-6 soft medjool dates and it was delicious! I didn’t put in the extra tbs of syrup or the almond extract and it was perfect. 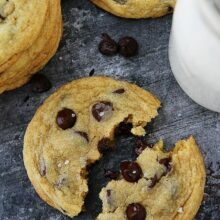 I did sprinkle a few mini chocolate chips that I had on hand… so yummy! I have tried 3 different avocado pudding recipes but none were this good. Love this recipe! Excellent flavor. So creamy and smooth. So quick to fix! I did not even chill it. Ate some immediately after I fixed it. Delicious!!! I made this with and without the almond extract. My family likes it best without the almond extract. I also substituted 1/4 cup organic stevia for the maple syrup to make it Keto friendly. It was delicious!! 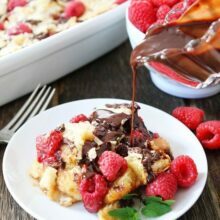 This pudding was so easy to make! To be honest, I didn’t feel the need to refrigerate mine after blending; I used cold avocados and almond milk, so the pudding was cold and was plenty thick enough to eat right away. It was a bit sweet for my liking, so I would probably cut back the maple syrup to 1/3 cup for the serving size above, but I would definitely make it again!